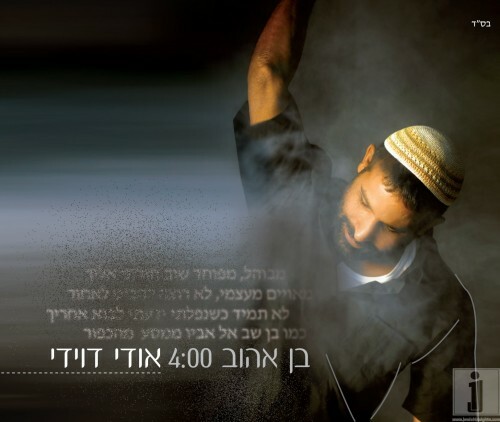 “Ben Ahuv” is the first single released by Udi Davidi and the title track of his NEW upcoming album. Udi’a last album “Ruchot Tovot” was extremely successful and earned his a Gold Record with sales. The album included the wildly popular “Im Ein Ani” which did so well that it earned Davidi the ability to crossover between the frum would and the secular world. Davidi has sold up to date more then 80,000 album and continues to appear world whde where he thrills crowds with his amazing performances. The new album which is soon to be released will include 12 all new songs written and composed by Davidi himself with help of his wife Lilach. Arrangements and production by Avi Tal.